Cedar Breaks Lodge & Spa can accommodate your Brian Head adventure, whatever the season. With décor inspired from the stunning vistas that make up its very surroundings, this resort is a naturalist’s dream realized. Take the family or just yourself and enjoy the many amenities and wonderful environment of Brian Head, Utah. Head out to Bryce Canyon for your next summer vacation and lodge with us at The Lodge at Bryce Canyon, the only lodging within the national park. With a variety of lodging opportunities available at our historic lodge, along with amazing views of the hoodoos, a trip to Bryce Canyon is one to beat. If you're only visiting for the day, be sure to stop in our gift shop or grab a bite to eat in the Lodge restaurant or Valhalla Pizzeria. Desert Pearl Inn, a top-rated Zion National Park lodging choice for family adventure and romantic getaways, nestles within the majestic cliffs of Zion beside the Virgin River in Springdale, Utah. 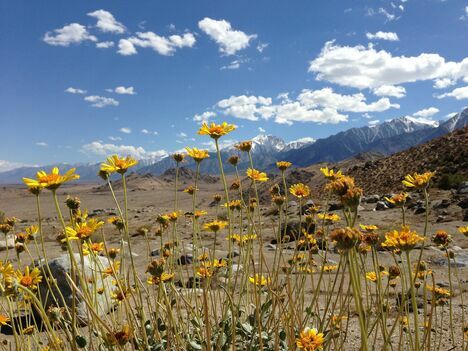 The Inn is more than the experience of sunny days, breathtaking outdoor recreation, and starry nights tucked in a deep canyon of stony copper. There is also at this oasis, a soul you will discover at every turn. 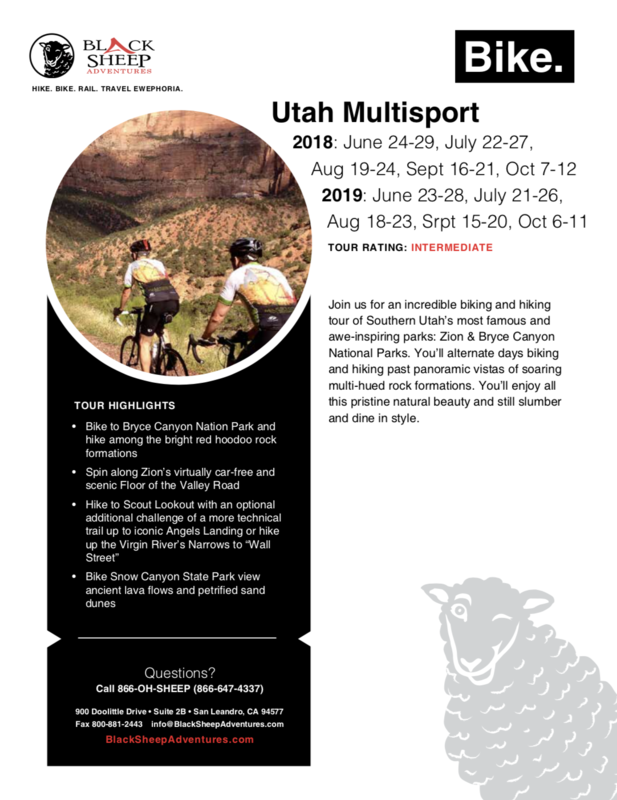 Come join us for an incredible biking and hiking tour of Southern Utah’s famous and awe-inspiring Zion National Park. We’ll take you on hikes and bike rides past panoramic vistas of soaring multi-hued rock formations. You’ll enjoy all this pristine natural beauty and still slumber and dine in style. After yet another delicious breakfast, you’ll have the chance to take a spin to nearby Snow Canyon State Park – home to petrified sand dunes and lava flows – or, if you’d rather, feel free to relax and have a leisurely morning at the hotel. You’ll then shuttle back to Las Vegas.